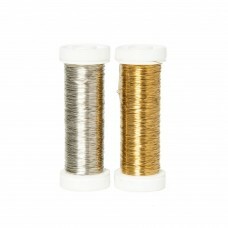 A fine jewellery grade 36 gauge non-tarnish wire. Can be used in a variety of applications such as .. 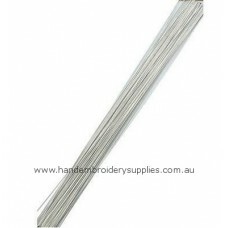 This fine Benton & Johnson uncovered wire is 32 gauge .008 thickness and can be used for very fine s..
#28 Gauge uncovered wire for detached elements on your stumpwork projects. Priced per reel, 21.9 met..
#30 Gauge green paper covered stumpwork wire for detached elements on your stumpwork projects. 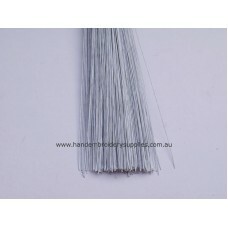 Price..
#30 Gauge white paper covered stumpwork wire for detached elements on your stumpwork projects. Price..
#33 Gauge white paper covered stumpwork "flower" wire for detached elements on your stumpwork projec..